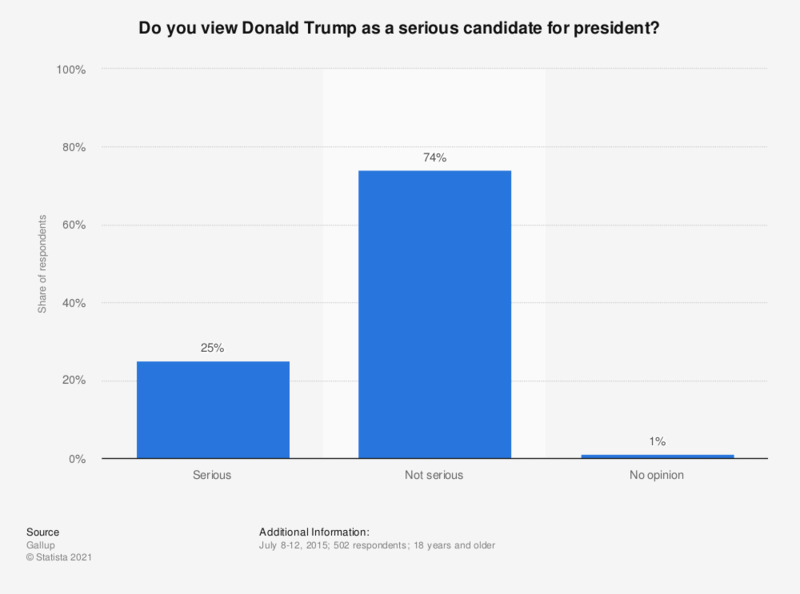 This statistic shows the results of a survey among adult Americans on whether they consider Republican Donald Trump a serious candidate for the presidential election in 2016. During this survey, 74 percent of respondents stated they do not view him as a serious candidate. The source poses the question as follows: "Regardless of whether or not you would vote for him, do you view Donald Trump as a serious candidate for president?"